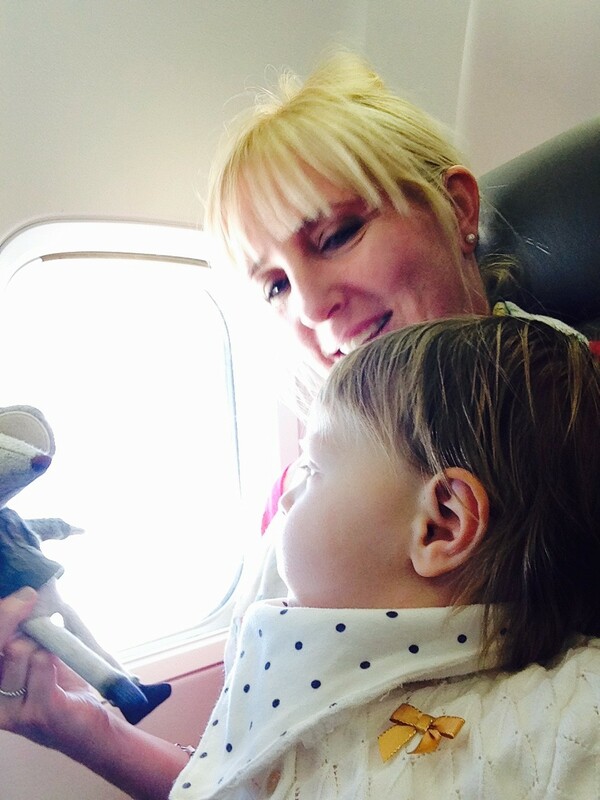 Top tips for travelling with babies and toddlers! The hottest topic wherever we go at the moment is upcoming holidays. Travel with babies & toddlers in tow, whether abroad or closer to home, brings its own special kind of anxiety. With a couple of holidays under our belt we’ve learned a few pitfalls along the way, and changed our expectations of what a ‘holiday’ is- less magazines are read, and considerably less cocktails may be drunk but we have hundreds of photos, memories and funny stories to tell. This is all about tips and tricks to plan, travel and ultimately enjoy your family holidays this year. A big THANK YOU to all our mummy & daddy friends who gave us their pearls of wisdom for this one! Amidst the cries of ‘don’t do it!’ and ‘bring the grandparents!’ were some genius tips and a general message that the best thing to do is just go for it and embrace the chaos! Plan and do as much as you can ahead of time; make sure baby has a passport, check in online and look at what can be hired at the destination (cot, buggy, highchair, potty, baby bath & monitors are all available in many resorts). If you’re not keen on them sleeping in a hire cot you can pack your own space saving travel cot mattress or sheet. Pre-order heavy items like ready-made formula and snacks 2 weeks in advance to pick up at the airport Boots once through security so they aren’t included in your hand luggage weight. TOP TIP: Have a practice run to make sure everything fits in the car! Make a list. Save it on your computer so you don’t need to make it again the next time. Be ruthless. Think about all the activities you’ll be doing and what you need for them. Consider buying bulky items like nappies, milk and wipes at your destination. Think weight/space saving: you can buy disposable bibs to save you having to do too much washing, and decant toiletries into smaller travel bottles. A travel black out blind is a handy stand by in case the room is quite light. TOP TIP: Disposable puppy pads are great for popping under baby as a changing mat (the kind used for toilet training). They’re light and not much bigger than a nappy when folded. You might also want to have a practice at changing them on your knee as baby change facilities aren’t always readily available abroad. Those under 2 are not usually entitled to hand luggage but a changing bag is okay (bring a big one and use it as a beach bag!). Pack this as if going away for the day; Take a change of clothes for baby and you in case of accidents, a day’s worth of nappies (we learned this the hard way during a 23 hour delay coming home!) and bring any creams, medicines or paracetamol (Calpol sachets are great!) you might need in case of lost baggage! Sticker/colouring books, paper and crayons are great for toddlers. Bring plenty of snacks like lollipops, raisins, baby biscuits and wafers to keep little fingers busy. TOP TIP: Gift wrap a few new little non-noisy toys (or ones they haven’t played with much!) to open on the journey as a treat. You can buy single bottle cold water sterilisers and tablets for use in hotel rooms, and we brought a small flask to keep boiled water in from the kettle for use throughout the day. Extra nappy bags come in handy for quickly clearing away mess or bagging up dirty clothes/bibs. TOP TIP: Bring small Tupperware boxes with you to take extra things at breakfast for baby to snack on later in the day like cherry tomatoes or melon. Slings are invaluable at airports- you can usually take a buggy right up to the gate but may need to wait for it to come off the carousel at the other end which can be tricky with a tired/grumpy baby. 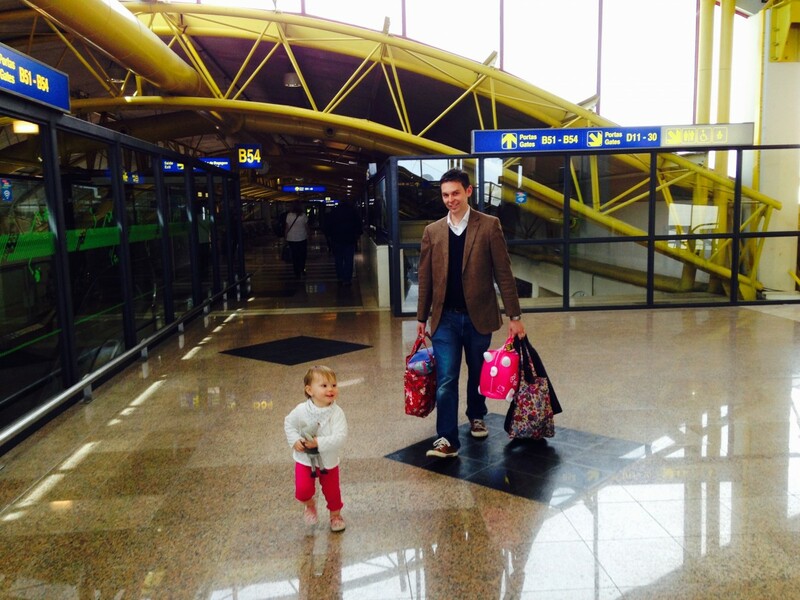 Make sure you play with your little one during stopovers to help tire them out! You’ll need to take your child out of their buggy to go through security (even if they’re sleeping). If you anticipate this upsetting them try to lift them out before you get there. Be on time at the gate- those with young children are given priority boarding and it’s worth taking advantage of this. TOP TIP: Ride on toddler suitcases or ‘Trunki’s’ are great for airports as they can be sat on too. Bring a tablet loaded with games, movies etc. and headphones. A protective case will help avoid a smashed screen! Try using a ‘Sea-Band’ acupressure bracelet for travel sickness. It’s important to keep little ones hydrated on flights so bring water (not all bottled water is suitable for babies so make sure you check). Ask for a bassinet seat- even if you don’t need it, it gives extra leg room for the baby to play. 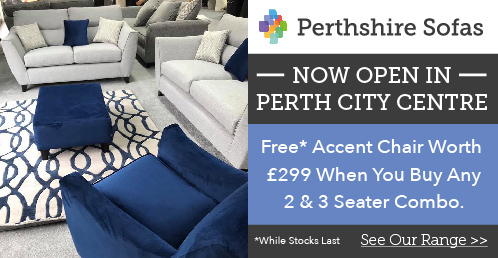 Once it’s safe to remove your seatbelts it’s great to take a toddler for a walk up the plane or to the emergency exit area to stretch their legs or play peek-a-boo with other passengers- don’t worry, everyone will love them! TOP TIP: Make friends with your neighbour on a flight- if you’ve already spoken to them it helps break the tension if you’re little one does get upset. Invest in a good sun cream that’s water resistant- we found the spray ones are easiest. 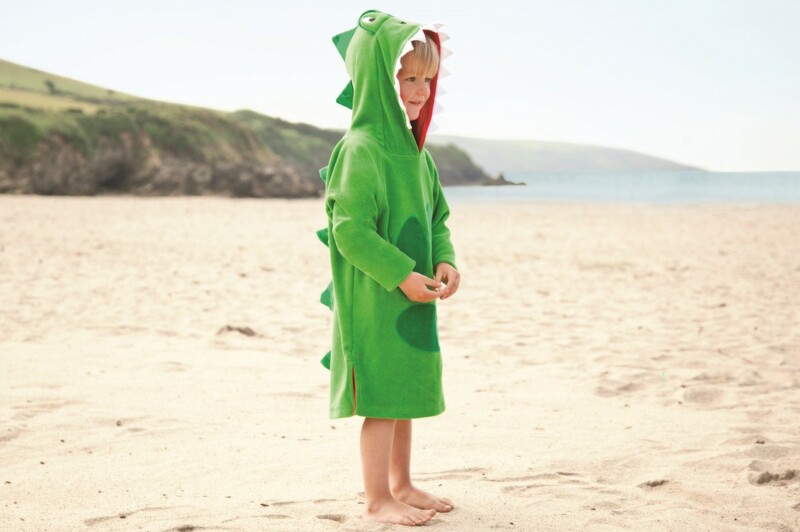 Turtle Tots are great to help get your little ones ready for swimming. Any level of independent swimming and confidence in the water is a great help when on holiday- even if they can hold on around your neck while on your back so you both get a little swim! 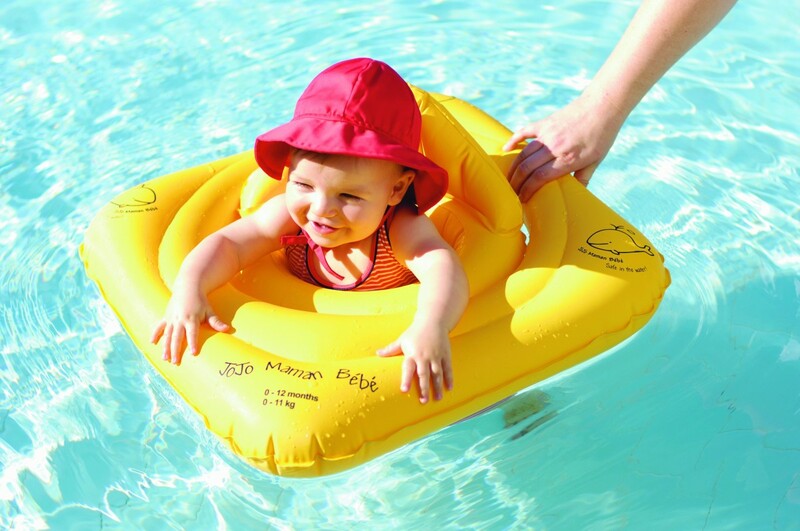 If they’re too young for that or you fancy having your hands free for some of the time in the pool you can buy an inflatable swim seat. Bring bath toys to keep young babies entertained in the pool or you can buy woggles/inflatables from local shops to occupy toddlers and leave behind when you go. 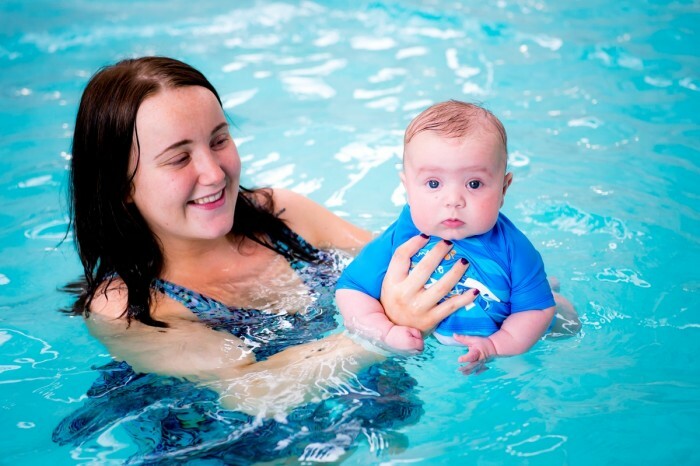 Consider investing in proper swim supplies for babies- neoprene wetsuits and ‘happy nappies’ keep them warm (and leak proof), or you can buy thinner UV protectant ones. If your little one drinks milk during the daytime that you’re worried about getting warm in the sun you can buy an insulated cool cup. TOP TIP: Baby or talcum powder works wonders at getting damp sand off little hands at feet at the beach! Take your time, take lots of deep breaths. Even if the worst happens and you end up with a screaming baby/toddler meltdown just remember the VAST majority of other passengers are completely understand. Above all just enjoy your family holiday- it’s all about having fun and making memories! !